Regardless of the evolution of nursing practice, some processes and skills remain fundamental to nurses’ competence to deliver person-centred care. 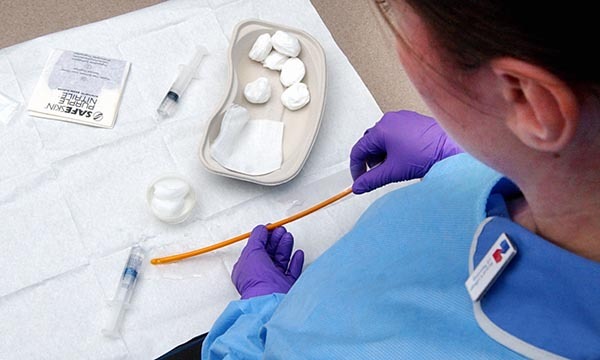 The ability to perform or undertake aseptic technique is one of these, alongside clinical observations, hand hygiene, medicines management and cardiopulmonary resuscitation. The roots of modern-day aseptic technique lie in the development of asepsis in surgery, with environmental control used to reduce the risk of contamination of the exposed wound. Pasteur’s germ theory, which supplanted the belief that foul-smelling air (miasma) spread disease and caused infection, was eventually applied in nursing practice and extended beyond the operating theatre to all care settings and situations. The acceptance of germ theory by leaders such as Florence Nightingale led to a focus on the importance of cleanliness and avoidance of contamination from direct and indirect physical contact. This step shaped the evolution of wound-dressing practice, today’s aseptic technique. Given the origins of asepsis in science, it might be assumed that the implementation of this process, as a core nursing skill, would also be based on evidence. This, however, is not the case. Significant variation exists in the descriptions and definitions of aseptic technique and its application in practice. The principles of aseptic technique were adopted from surgery, but it is more difficult to control environmental conditions outside operating theatres, in wards and in people’s own homes. Nurses are right to question the implications of this for their own practice and patient safety. Hand hygiene is performed before and during procedures, as necessary. Based on RCN member feedback and questions raised following publication of two recent RCN guidance documents, work is underway to explore nurses’ perceptions of asepsis and aseptic technique. Members asked whether it is possible to standardise a process where little evidence but much opinion exists. In the absence of good evidence to inform definitive steps in an aseptic technique process, a renewed focus on principles to apply to manage the diversity of care settings is timely. We are looking at the needs of different care settings and the impact on nurses working in these areas, for example the amount of equipment they are required to carry, whether it is possible to avoid external contamination and the management of waste. The extent to which consumables such as preprepared dressing packs influence processes or techniques must also be explored. The RCN’s work is an opportunity to link aseptic technique theory to procurement strategies, so that products purchased are cost-effective and support best practice and patient need. It is not possible to predict what the outcomes of the programme will be but the engagement with nursing staff in all settings, and publication of evidence developed through this process, will go a long way to directing future action and outputs. At this stage, we don’t know whether a standardised technique is actually possible. While this might appear to be an ideal solution, the extent of variation that may be required to suit patient, situation or setting needs could rule it out. What’s clear is that the final outcome will take time, but the increasing level of engagement and interest in this topic is reassuring. An RCN symposium on aseptic technique on 11 April is fully subscribed. Often placed in the ‘too difficult’ box, nurses are to be commended for taking part in the debate and shaping the future of this essential skill.